We are USDA Certified Organic: To be safe for ourselves, farm workers and our customers, so we won’t use harmful chemicals, insecticides, pesticides or non-organic fertilizers. To support healthy populations of bees, butterflies, amphibians such as frogs, salamanders and turtles and other wildlife living on our farm. The USDA Certified Designation provides a uniform process and accountability to provide members with confidence in our organic farming methods. 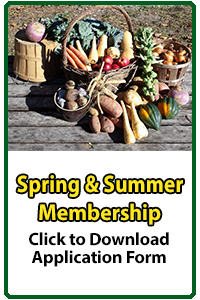 Membership includes Pick-Your-Own flowers and vegetables – We love sharing our vegetables with members – especially children – they experience picking vegetables and cutting flower bouquets themselves. 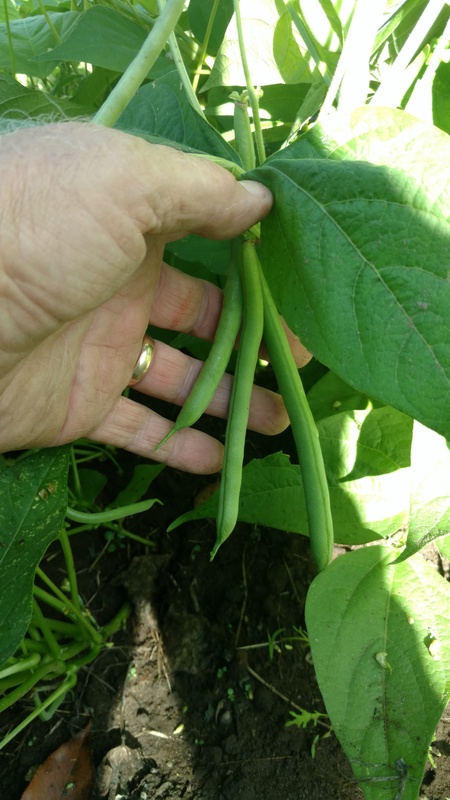 For some, it’s a way to learn about growing vegetables and for others it’s eating just picked, sun-warmed cherry tomatoes, peas and beans. We offer weekly recipes for members with each share, along with herbs – both fresh and dried – to boost flavor and add to a little spice for health and taste. The recipes are designed to assist members in preparing delicious meals especially when we offer a new or unfamiliar vegetable. Members select the produce they want from our Market-Style distribution area. Rather than pre-select your produce and put into a box – we fill bins with that week’s produce, so members can circulate through the market picking their own individual share. This works because the individual items may vary in size and members want what’s right for them – couples may pick a 3 lbs. butternut squash while the family of 7 may select a 10 lbs. one. We offer Bird and Nature Walks on the back acreage for members and the public to enjoy nature in all its’ beauty – and learn about the native plants, trees, flowers and birds that call Yellow Stonehouse Farm home. The nex t Bird Walk is May 6th – see our listing under events and sign up. Since improving health is also part of our mission, we offer activities such as Yoga on the Farm to our members and the public. We are currently planning our schedule but have a tentative date in September that we will be putting up as an event soon. Since feeding the body and mind go together, we are planning to host an On-Farm Poetry program in the fall of 2018. We think the beautiful setting combined with poetry will be wonderful. 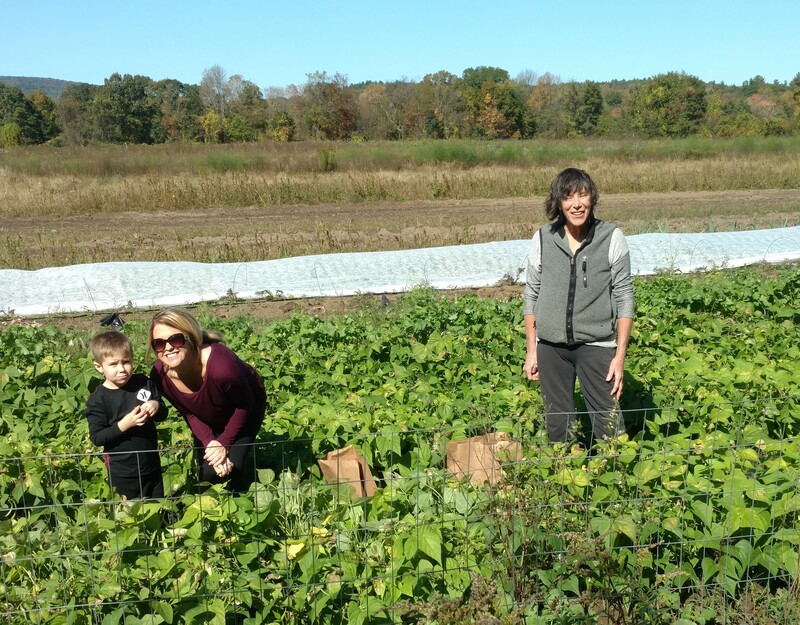 We still have a limited number of 2018 CSA farm-shares available – though Wed. & Sat. pick-up times are filling up fast. CSA pick-ups are Wed., Thur., and Fri. from 3 – 6:30 pm and Saturdays from 9 am – 1 pm so sign up soon. The farm is now open Saturday’s between 10:00 am and 3 pm if you would like to visit & learn more about us. 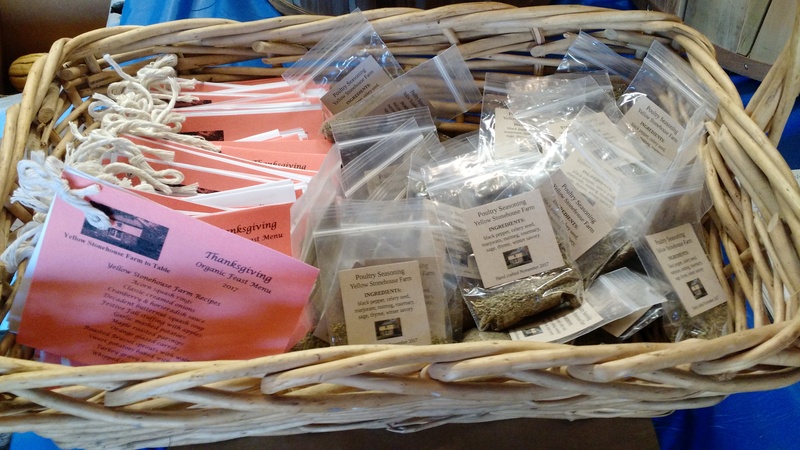 To reserve pick-up dates, email us at yellowstonehousefarmcsa@gmail.com.